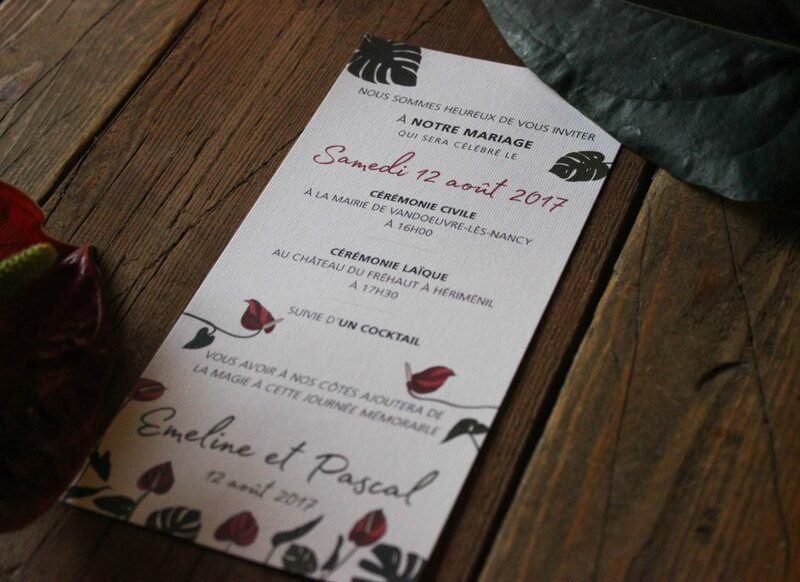 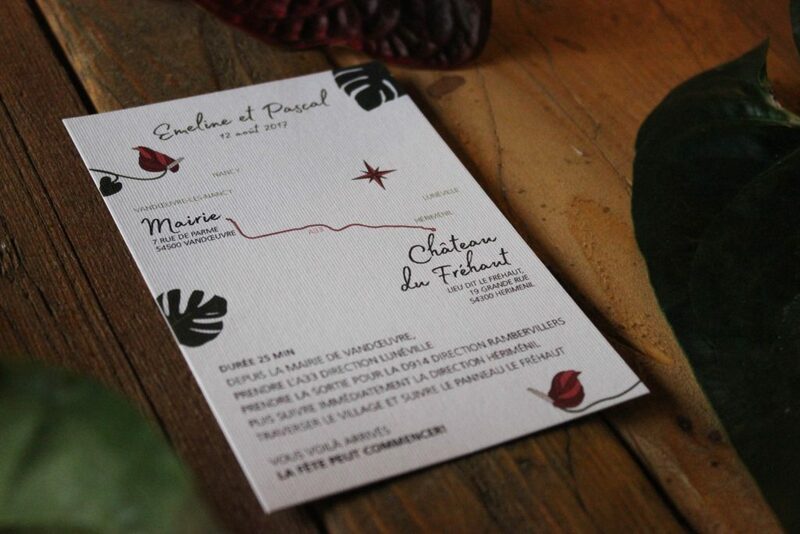 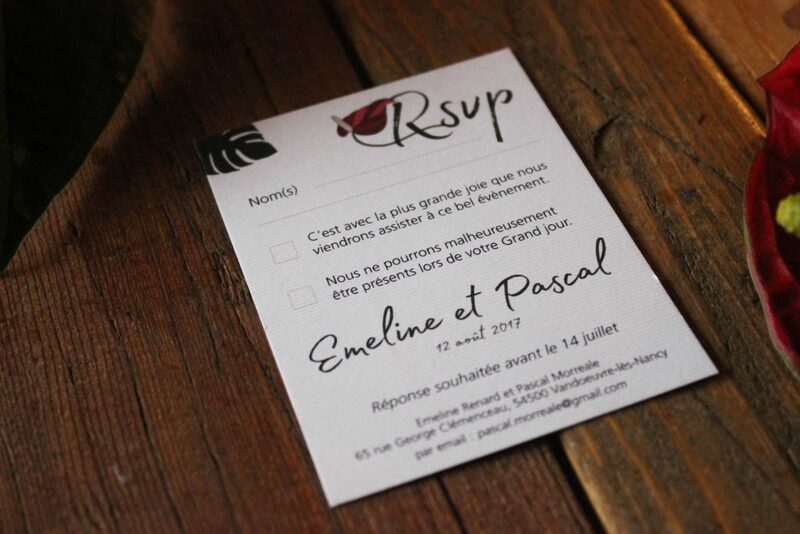 for Emeline & Pascal's wedding in France. 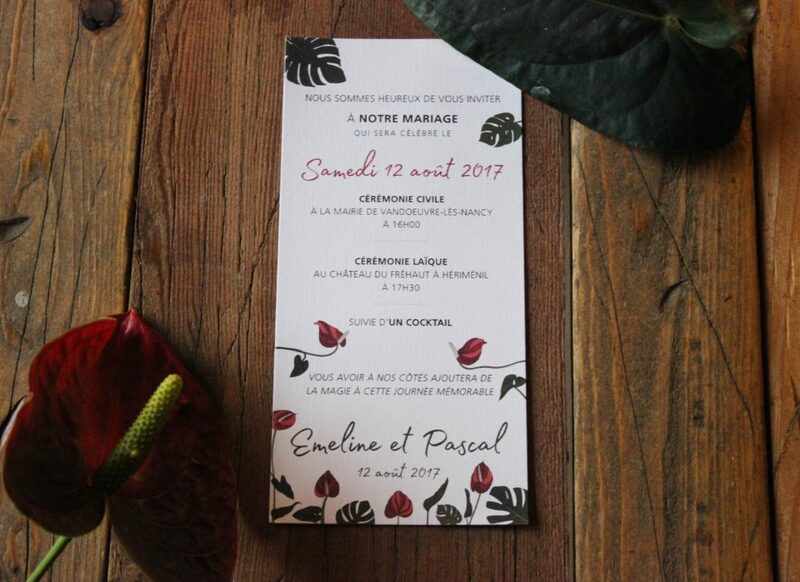 Illustrations of the vegetal theme with the flamingo flower used on different support. 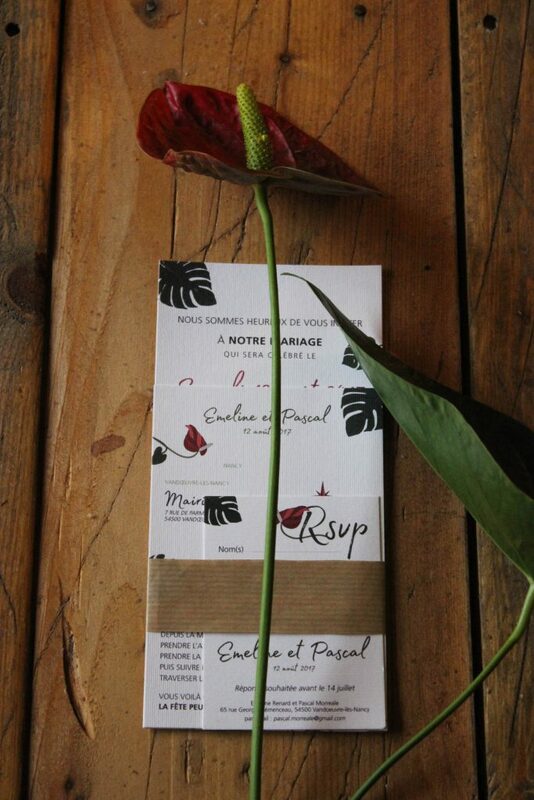 A pack was sent to the guests with : Announcement, Map and RSP. 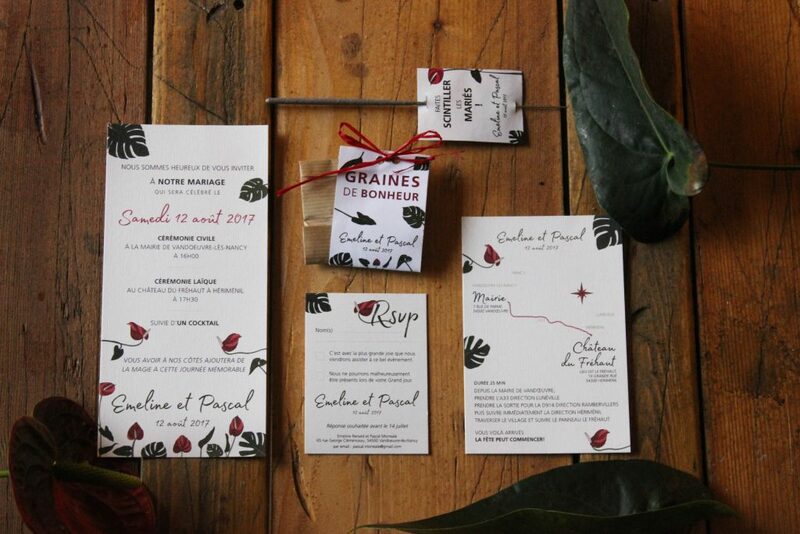 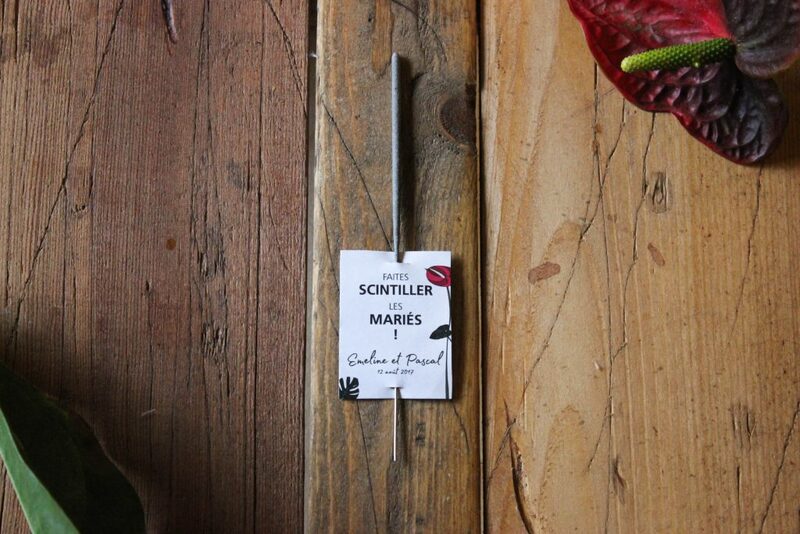 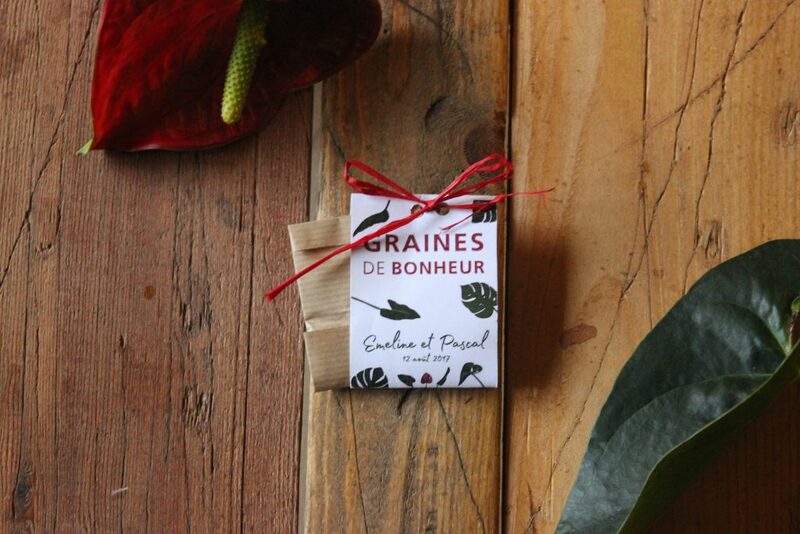 During the wedding some goodies was given to them like flowers seeds and sparklers, we designed the packaging of those.